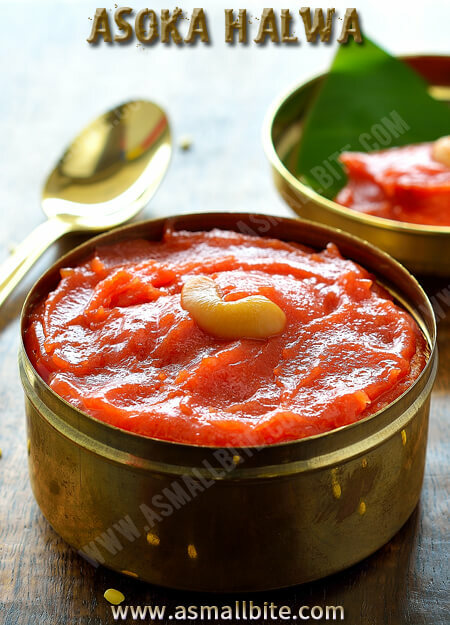 Ashoka Halwa Recipe / Thiruvaiyaru Style Asoka Halwa is an authentic sweet from Tamilnadu. 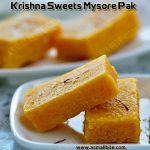 It is a must sweet at all the weddings in Thanjavur district. First, measure and keep all the ingredients ready. In a heavy bottomed pan, add moong dal and dry roast it for few minutes, until nice aroma wafts. Take care not to burn it, otherwise, the halwa smells bad. Then transfer the moong dal to a vessel, pour 3 cups of water and pressure cook it for 5 whistles. Once it cools down, transfer it to a mixer. Just grind it once till smooth (you can mash it with a ladle or potato masher too). Pour 2 tbsp of ghee in the pan, add cashews, fry till golden colour and keep it separately. Then add wheat flour and roast for a while, till the raw smell leaves. Then keep by side. To the same pan, pour the ground moong dal. Immediately, Simmer the flame and start stirring. Now add sugar and mix well. The sugar starts to melt, the mixture turns watery and glossy now. Then add the roasted wheat flour and keep stirring continuously, until there are no lumps (about 5 minutes). Once the halwa thickens a little, add food colour and ghee. Add crushed cardamom and fried cashews. 10. Keep mixing in low flame, until the halwa leaves the sides of the pan and the ghee separates. 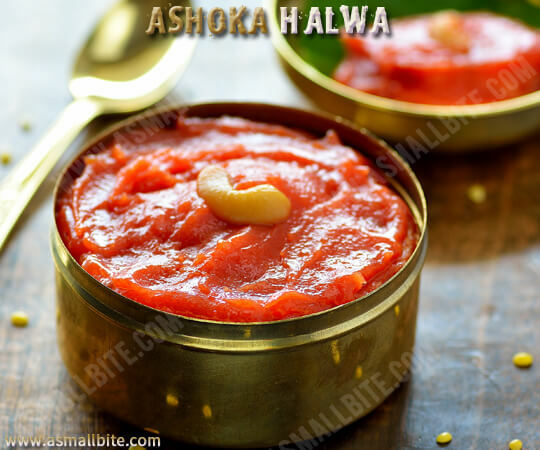 Enjoy this Ashoka Halwa Recipe with Ribbon Pakoda. 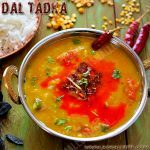 Roasting moong dal is a must, as it lends a nice aroma to the Asokha halwa recipe. 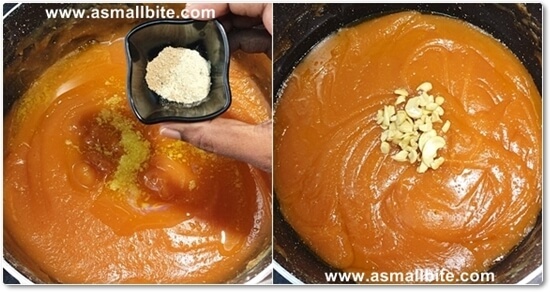 Use a non-stick or heavy bottomed pan, to prevent the halwa from getting burnt at the bottom. No need to add water when grinding the moong dal, otherwise it takes a lot of time to get thickened while cooking. You can even mash the moong dal with a ladle or potato masher. 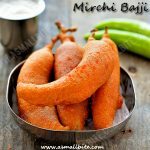 Instead of wheat flour maida / all purpose flour can also be used. Add ghee generously to get a non-sticky halwa and it gives nice taste too. 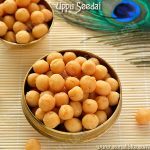 For more flavour 2 pinch of nutmeg powder can also be used. Switch it off when the halwa is in slight running consistency itself, as it thickens with time. 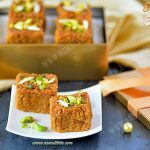 Don't cook furthermore else this halwa turns chewy. Once the halwa thickens, the texture turns little grainy and the ghee also gets frosted. You can have it as such or heat a little for melting consistency. Furthermore, adjust sugar as per sweetness preferred and you can increase the wheat flour to 4 tbsp too. 1. First, measure and keep all the ingredients ready. 2. In a heavy bottomed pan, add moong dal and dry roast it for few minutes, until nice aroma wafts. Take care not to burn it, otherwise, the halwa smells bad. 3. 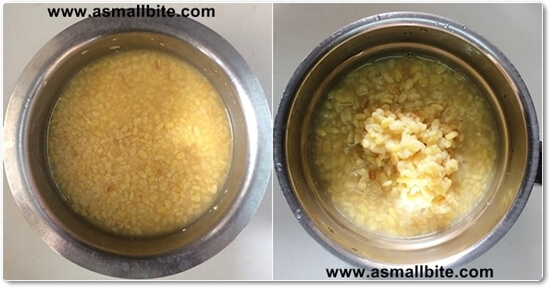 Then transfer the moong dal to a vessel, pour 3 cups of water and pressure cook it for 5 whistles. Once it cools down, transfer it to a mixer. 4. Just grind it once till smooth (you can mash it with a ladle or potato masher too). Pour 2 tbsp of ghee in the pan, add cashews, fry till golden colour and keep it separately. 5. Then add wheat flour and roast for a while, till the raw smell leaves. Then keep by side. 6. To the same pan, pour the ground moong dal. Immediately, Simmer the flame and start stirring. 7. Now add sugar and mix well. 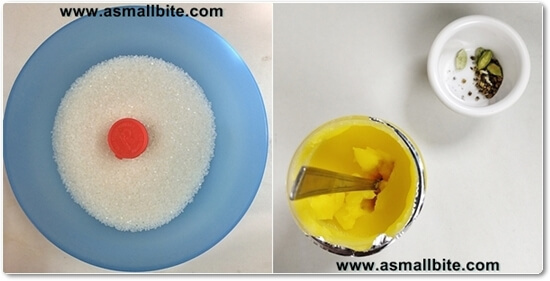 The sugar starts to melt, the mixture turns watery and glossy now. Then add the roasted wheat flour and keep stirring continuously, until there are no lumps (about 5 minutes). 8. Once the halwa thickens a little, add food colour and ghee. 9. Add crushed cardamom and fried cashews. 10. 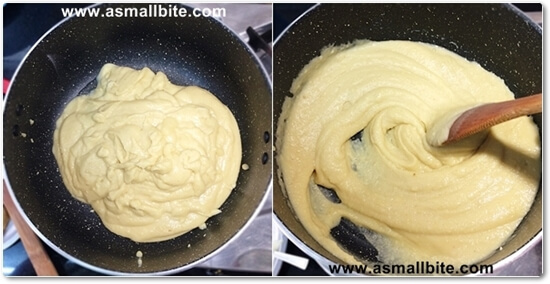 Keep mixing in low flame, until the halwa leaves the sides of the pan and the ghee separates. First I used 2 pinches of orange food colour and added 1 pinch of red food colour at last to give a bright look. 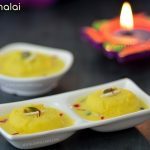 I didn’t have seen this type of jelly colourfull halwa. Very nice recipe.